Thomas E Bauer received his earliest musical training with the Regensburger Domspatzen (Cathedral Choir), and he studied at the University of Music and Theatre in Munich. He has appeared with such ensembles as the Boston Symphony Orchestra, National Symphony in Washington DC, Concentus Musicus, Zürich Opera Orchestra, Leipzig Gewandhaus Orchestra, Gürzenich-Orchester Köln, Zürich Tonhalle Orchestra, Netherlands Radio Chamber Philharmonic Hilversum, Residentie Orkest/Hague Philharmonic, NDR Symphony Orchestra, Royal Concertgebouw Orchestra, Akademie für Alte Musik and Anima Eterna. He has sung numerous world premieres and received the Schneider-Schott Music Award. Thomas Bauer has appeared throughout Europe with the theatre ensemble La Fura dels Baus in a spectacular production of Orff’s Carmina burana. In 2013 he appeared in Offenbach’s Barbe-bleue at the Styriarte Festival with the Chamber Orchestra of Europe under Nikolaus Harnoncourt. He also sang Britten’s War Requiem at the Basel Opera. During the 2013–14 season he appeared as Wotan in excerpts from Wagner’s Ring at the Dijon Opera, where he also sang the role of Count Almaviva in Mozart’s Le nozze di Figaro in 2014. In 2014–15 he made his operatic debut at the Teatro alla Scala in Milan as Stolzius in Zimmermann’s Die Soldaten. 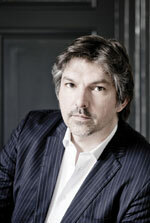 He regularly gives lieder recitals with the fortepiano specialist Jos van Immerseel, and he is the founder and director of the Kulturwald Festival in the Bavarian Forest.